I wanted to thank you for attending and engaging in Ava’s IEP meeting a couple of weeks ago. We realize how important it is to have a strong team when it comes to special education, and we appreciate you partnering with us on Ava’s behalf. Morgan and I have been very pleased with all Ava has accomplished since beginning GradePower Learning. Although we know she is still catching up, we are very relieved to have found a program that is helping her achieve real results. I appreciate the proactive approach learning and preparing for tests and assignments, which seems to be the backbone of the GradePower Learning method. You are giving her the tools to effectively learn versus cramming and bracing for mediocrity or less. Our weeks are a lot less overwhelming as we implement the strategies and methods you are teaching Ava. I feel like we are managing school assignments and test into our lives instead of the dread and disruption of the night before information whipping to pray we suffered enough to get an average grade. We are seeing independence and organization developed from GradePower Learning running over into all aspects of Ava’s life – that is HUGE for us. Most importantly, she is finding confidence through academic success that she desperately needed. She loves going to GradePower Learning and is upset when we have to reschedule. I want you and your staff to know what a great job you are doing with Ava, and that our family is very thankful for all you do! Now if you would just move to Homewood, my life would be complete. "His confidence has already improved just in the few weeks he's been at GradePower Learning. The encouraging, devoted staff has made a huge impact on his attitude toward learning as well. Even the kids that go there have a special bond. I love this place! :)"
Both of my sons, Nickolas and James - attended GradePower Learning at Lee Branch for a little over a year, one focusing more on Math and one more in Reading. Could say nothing but good things about the entire staff from the way they worked with our schedules to the personal attention and care they gave to my children. I feel that both of my children benefitted from and improved their academic skills with the help of GradePower Learning! I would highly recommend it to any family who would like to help their children succeed! "Very nurturing and supportive environment! The staff works diligently on assessing the needs of the individual while providing the tools to attain positive and successful learning techniques. GradePower Learning is awesome! 5 stars!" We have been extremely happy with GradePower Learning! Our son has had difficulties on many levels. GradePower Learning has instilled a confidence and excitement in our son that we have never seen before! We highly recommend Tony and his staff to help your child get to the next level of learning! GradePower Learning is GREAT! "We truly believe in GradePower Learning. My high school daughter is doing much better after spending part of her summer there. My kids will be enrolled this summer." Our daughter got good grades before going to GradePower Learning, but she sometimes struggled to get them. One day she came home and said, "I want to go to GradePower Learning, because when they explained math in my class today made sense." Since she's been there she's been more willing to face challenging math problems, whereas before she'd get upset and give up. Her grades have improved and homework time in our house is much calmer." My son really struggled with reading during kindergarten and into first grade, and I was worried about him falling farther behind. It was frustrating for both of us and clear that I couldn't help him. His teacher recommended a tutor and that did help him some. Initially we went this route thinking it would be cheaper than GradePower. As summer approached, I knew we needed a plan to keep working on his skills. After meeting with the staff, I realized GradePower was less expensive per hour than what I had paid the tutor. He progressed wonderfully over the next six months and gained so much confidence. Thank you GradePower! Our son was in third grade when we started GradePowerLearning. We used their services for 1 1/2 years and could not have been more pleased with our son's progress. They were very flexible with what he needed and very patient with him as well. His reading levels improved to his grade level and his math scores increased as well." "Thank you all so much. Bryan is doing so much better at school. He loves GradePower Learning!" Everyone at GradePower is excellent! At first, my son was very reluctant to go inside and open up, but the teachers are so friendly and encouraging, he enjoys every class. I plan to continue with GradePower for as long as I can. "Our son went through Beyond Tutoring and through that experience his skills in reading and writing quickly soared. The program was a great experience and I highly recommend it to anyone who is struggling to help their child learn to read. Our son did advance during the school year and the program was as successful helping him further grow his reading skills. We greatly appreciate the coaches and staff at GradePower Learning!" "I just wanted to give an update on my oldest son who was at GP for about a year ending in September 2014. He has been self-sufficient with a new confidence ever since! I am so proud of his accomplishments this year and am beyond grateful for the entire staff at GradePower. My youngest son will be attending this summer at his own request saying it worked for "his bro." We are looking forward to it. Thanks GP!" GradePower Learning isn’t a “ho-hum” learning center. Rather, we provide “aha!” moments. Our unique approach to supplemental learning is the only concept of its kind that develops both a student’s cognitive foundation and academic skills. This is not your typical academic setting. Our centers take active learning to a new level. We offer a lively, stimulating environment in which students and educators look forward to participating. It’s not a library. It’s not a classroom. GradePower is abuzz with energy from students that get energized every time their “light bulb” turns on. We’re looking for people with a passion for educating and an intellectual curiosity for innovative approaches to learning. We’re opening the first two centers in the state of Alabama on Hwy 280 (spring) and Pelham (summer). The Learning Coach is a great opportunity for an aspiring teacher to acquire in-depth insight into cognitive development and teach it in the context of traditional education. The potential career path for this position includes promotion to Lead Learning Coach, Education Coordinator, Center Director and opportunities for operating partnership. Certifications – None required. Because our curriculum is proprietary and the only type of its kind in North America, we do not require a teaching certificate or license. Transportation - The candidate should have adequate transportation that allows him/her to consistently arrive to the center on time. Intrinsic motivation - Candidate should be genuinely motivated to work with children, comfortable teaching students of varying ages in a range of subject areas, able to build rapport with students and parents, and receptive to new educational methods. Parents: Are you in the 90%? If so, read why you don't want to be. Make sure you're not in the "Naive 90%"
Obviously, schools are inflating report cards and giving parents like you a false sense of security. We want to help you empower youself. Contact us today to get the truth. Schedule your child's Dynamic Learning Assessment for only $150! That's $100 off (regularly $250)! You'll get an accurate picture of your child's grade level standing, and you'll ensure that your son or daughter demonstrates college and career readiness. 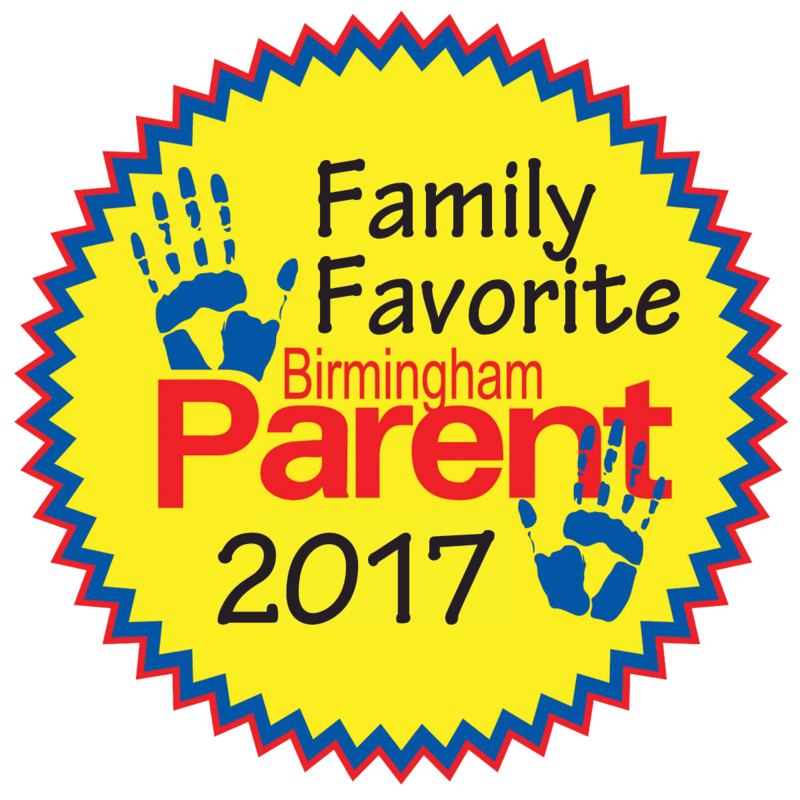 Plus, you'll receive detailed cognitive information on your child's learning style, instincts, strengths, weaknesses, and tendencies. Listen to GradePower Learning on the Matt & Aunie Show every month. GradePower Learning is featured each month on the Matt & Aunie Morning Show on Real Talk 99.5 FM. GradePower Learning, with two locations in Shelby County, presented at December’s American Collegiate Testing (ACT) State Organization Annual Conference in Montgomery. GradePower Learning was the only learning center selected to present. Cognitive learning is natural to your child. Instead of relying on cramming and rote learning habits that have been proven to not work, cognitive learning helps your child use logic to build on previously learned concepts. Through practicing how to apply cognitive learning to academic content, your child will soon realize that there’s no better fuel for motivation and confidence than competence. In GradePower Learning Study Hall, your child will receive supervised support from degreed professionals to master their daily school work using the GradePower Learning strategies they’re developing in their individualized learning plan. Your child is welcome to join Study Hall any time after school on any single day to receive academic school support. Math, science, history. You name it, we’ll help! Stay for as little, or as long, as needed. Research has proven that “tutoring” alone simply does not sustain success. Tutoring reinforces bad learning habits, passive mindedness, short-term memorization, and dependency on others for average results. Consequently, kids who are only tutored remain perpetually behind or, at best, achieve minimum expectations. It’s the most of what you’ll get from any other “tutoring box” or moonlighting teacher. It’s the least of what’s available at GradePower Learning! Multiple payment options and no contracts make GradePower Learning an affordable and worthwhile investment for all families. Check out our many endorsements on our website and Google! To learn more about Birmingham tutoring, contact GradePower Learning® today! Many students struggle in math. Whether it's simple arithmetic, algebra, or calculus, our math tutors help make these abstract concepts more palatable to the developing mind. Using relatable situations and easy-to-understand language, GradePower Learning® tutors make learning science less intimidating. Our courses are both fun and informative, and often spark a passion for the subject in students who previously disliked it. Proper English, reading, writing, and grammar are essential to communication inside and outside of the classroom. Our courses help students from all backgrounds understand the complexities of language, and increase both their knowledge and vocabulary. 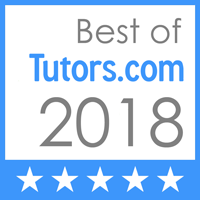 Our tutors help reduce the stress and anxiety of SATs & ACTs with customized workbooks and study guides designed to teach students the skills and confidence they need to do well on these exams. The city of Birmingham, Alabama is not only the largest economic area in the state, it is also a major area for education. This makes it a wonderful home for GradePower Learning®, a one-of-a-kind tutoring facility that emphasizes teaching students knowledge, confidence, and learning skills through a ‘cognitive learning’ approach. At GradePower Learning®, our focus is on helping your child succeed, with customized tutoring programs and one-on-one tutoring sessions. No matter your child’s age or needs, there is a solution here at GradePower Learning®. Learn more about our Birmingham tutoring programs below. GradePower Learning® Birmingham also welcomes students from the surrounding areas, including: Mountain Brook, Homewood, Hoover, Liberty Park, Cahaba Heights, Chelsea, Greystone, Inverness and Leeds.